VOTE: Who was your Cobblers man of the match against Oldham? 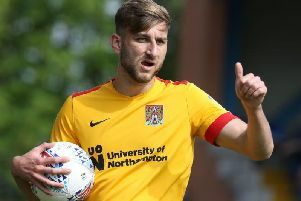 Cobblers were beaten 2-1 by Oldham Athletic on Tuesday night. Tope Obadeyi’s first-half goal was cancelled out by John-Joe O’Toole but Lee Erwin struck in stoppage-time to earn the Latics a vital victory.